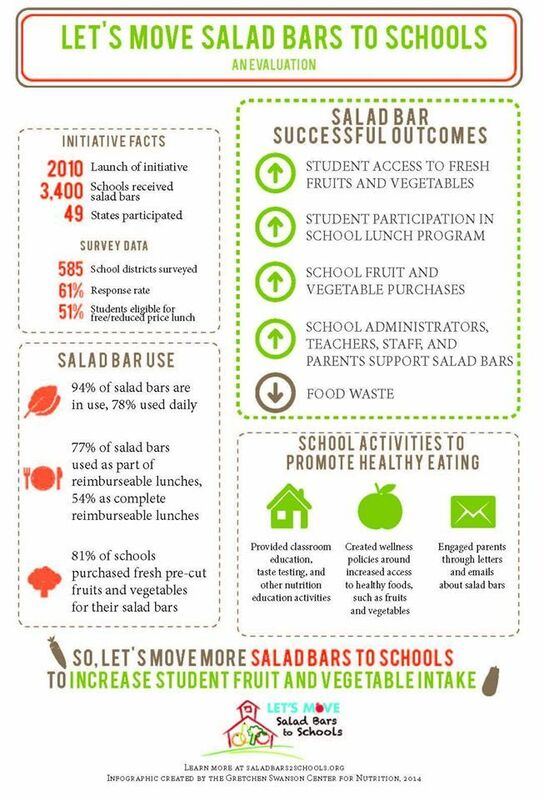 The innovation the authors refer to includes the requirements of the 2010 Healthy, Hunger-Free Kids Act and changes in Meal Patterns to increase the quantity and variety of produce offerings at school. 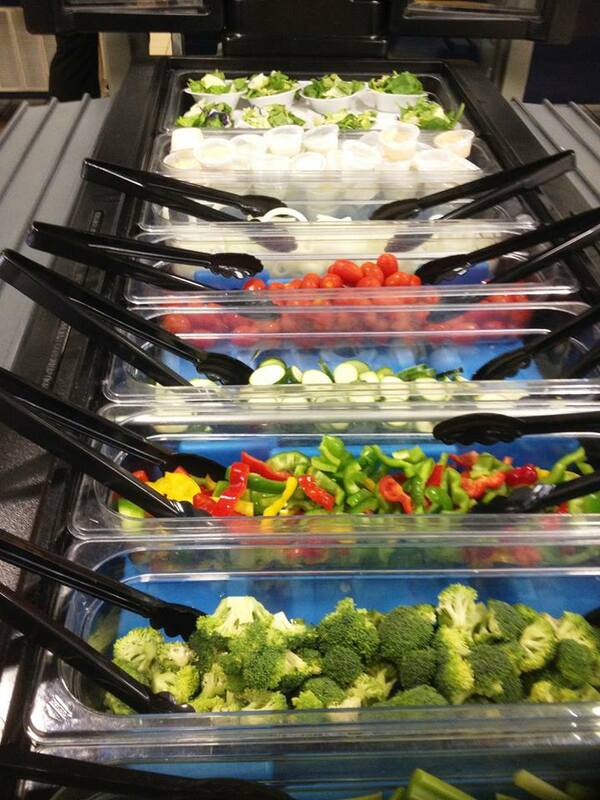 A quick look at three school salad bars from Southern states – an area not known for its fresh vegetable consumption – confirms that students are enjoying incredible produce options at school. 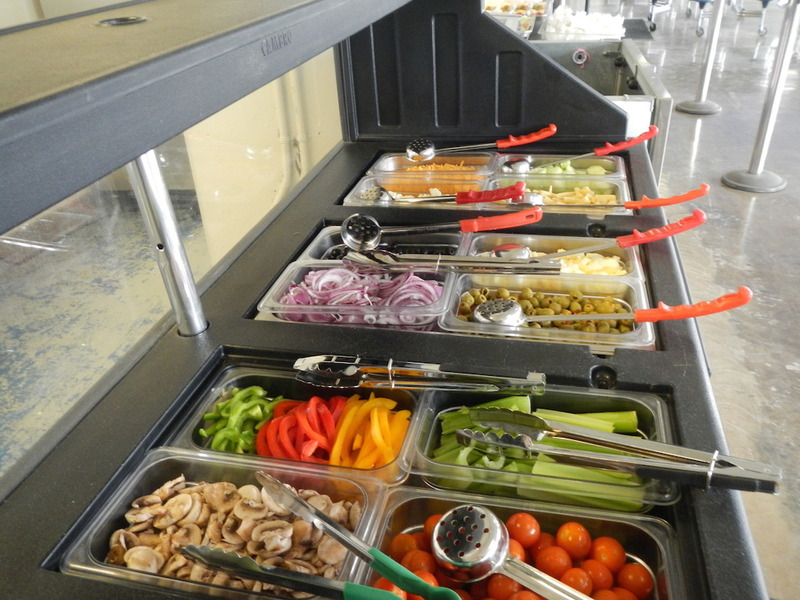 This gorgeous salad bar in a New Orleans Charter School includes everything from common celery to more exotic fresh mushrooms. These teens in this school can clearly enjoy a wide variety of flavors, textures and nutrition along with their lunch entrée. In many schools, teens are to take as many fruits and vegetables as they want. Middle School students in Carrollton, Georgia, can enjoy these colorful choices as part of the district’s Eat Healthy Eat Local Eat at Carrollton City Schools initiative. 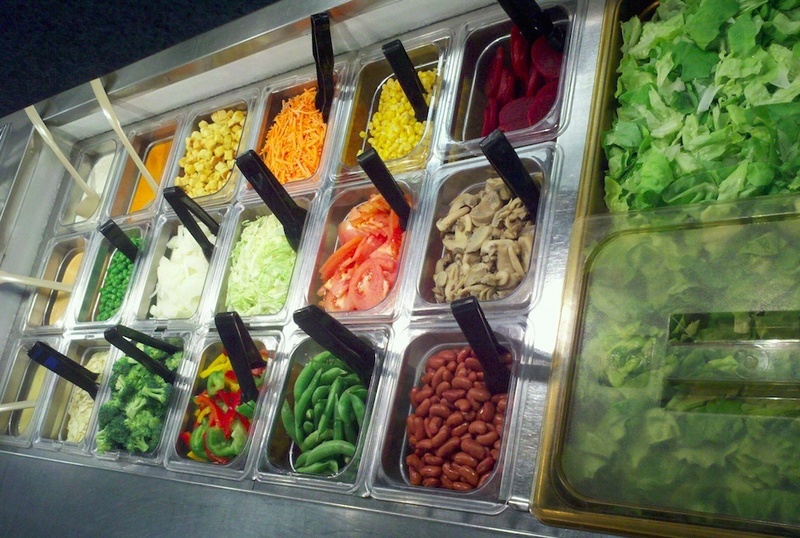 Up in Harrisonburg, Virginia, the High School Salad Bar is truly impressive. Like her colleague Dr. Linnette Dodson in the Carrollton, Georgia, Harrisonburg’s School Nutrition Director Andrea Early works hard to source as many local items for the produce bar as possible. Additional results of the evaluation are outlined in this infographic from the report. This entry was posted in Uncategorized and tagged farm to school, fruits, Gretchen Swanson Center for Nutrition, Let’s Move Salad Bars to Schools, local food, salad bars in schools, school lunch, vegetables by schoolmealsthatrock. Bookmark the permalink.